A new study has found that long-term exposure to Monsanto’s Roundup leads to serious problems in the liver and kidneys. “Given even very low levels of exposure, Roundup can potentially result in organ damage when it comes to liver and kidney function,” said senior author Michael Antoniou, head of the Gene Expression and Therapy Group at King’s College London. “The severity we don’t know, but our data say there will be harm given enough time,” he said. It’s the latest health concern for the most widely used herbicide in the United States. 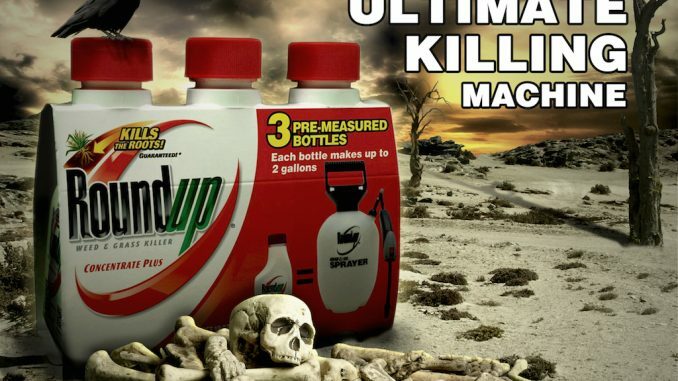 Evidence has been mounting that Roundup’s main ingredient, glyphosate, is toxic. In recent years, scientists have increasingly suspected it might be at least partially behind a widespread kidney disease epidemic in Sri Lanka and parts of India and Central America. Meanwhile, use of the herbicide has skyrocketed, increasing more than 250 times over the past four decades in the U.S., according to estimates. Glyphosate has increasingly made headlines as the debate on genetically modified foods ramps up because many seeds from Monsanto, Roundup’s manufacturer, are genetically engineered to withstand the herbicide. Both health researchers and environmental groups have called on governments to either ban or more strictly regulate glyphosate, especially after the World Health Organization’s International Agency for Research on Cancer in March determined glyphosate is probably cancer-causing in humans. In the 2012 study, different groups of rats were fed mixtures of genetically modified corn and Roundup. Researchers, led by Gilles-Éric Séralini, a professor of molecular biology at the University of Caen in France, reported cancers and other health impacts from both the corn itself and the herbicide. But the experiment design and results were highly controversial; the paper was retracted and eventually republished last year. Among other findings, the original experiment showed that very tiny amounts of Roundup added to rats’ water—a dose that is thousands of times lower than what is allowed in U.S. drinking water—for two years seemed to spur kidney and liver damage. In the current study, Antoniou and colleagues compared the female mice from the 2012 group and found big differences in their genes compared to rats that were not fed Roundup. “There were more than 4,000 genes in the liver and kidneys whose levels of expression had changed” in the dosed rats compared to the non-dosed rats, Antoniou said. Genes serve as the body’s switches, controlling different functions. Turn one gene off at the wrong time, or fail to turn it on at the proper time, and serious consequences could happen. Different patterns of gene function are known to underlie the health and disease status of organs. Given that they “used very low dose levels in drinking water, as a country that uses a lot of glyphosate and it’s found widely across U.S. streams, this study should have some kind of public health influence,” said Nichelle Harriott, science and regulatory director at Beyond Pesticides, a Washington D.C.-based nonprofit organization that advocates against toxic pesticides. While the number of genes was high, the actual changes in levels of expression between the dosed and non-dosed group were pretty small. “We don’t know what to make of such changes, they may be meaningful and may not,” said Bruce Blumberg, a professor and researcher at the University of California who was not involved in the study. Antoniou and colleagues can’t pin the specific organ problems to glyphosate. The changes they saw in the genes are linked to the types of organ damage originally seen in the rats—such as scarring and dead tissue. “They can’t say which caused what, but what you have is an association—the group treated with a little Roundup had a lot of organ damage and the gene expression findings supported that,” Blumberg said. Monsanto did not return requests to comment on Antoniou’s study. 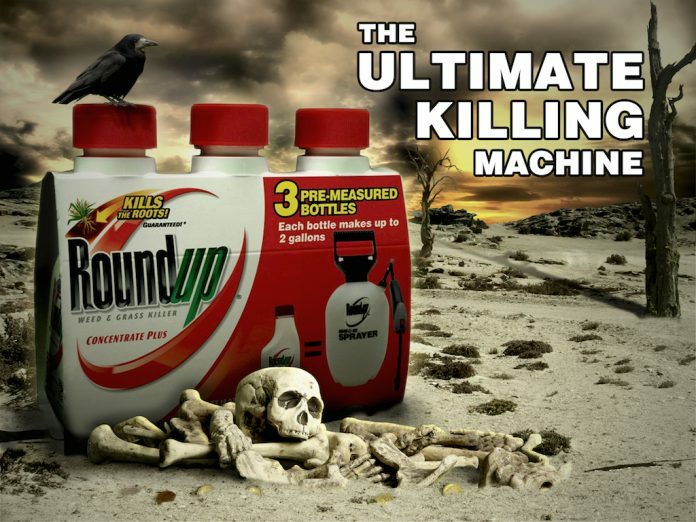 The company has repeatedly maintained Roundup’s safety and attacked the science behind the WHO’s decision to label glyphosate a probable carcinogen. The findings, while in rats, are concerning for people. These tests are the kind used to test what chemicals may do to humans, Antoniou said, which is concerning given glyphosate’s widespread use.